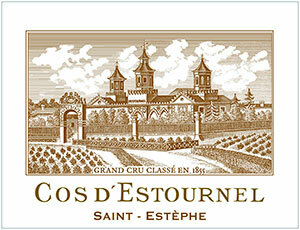 The Château Cos d’Estournel 2005 has a more opulent and riper bouquet compared to the Montrose ’05 with blackberry, Morello cherries, dried orange peel and then with further aeration, sage and leather notes combining beautifully together. This is quintessential Cos d’Estournel, one that has meliorated in the last couple of years.. The palate is full-bodied with very fine tannin, a little easier-going than Montrose but that detracts nothing from the freshness and energy in this Saint Estèphe. You could argue it has a mote more precision than Montrose but there are just two sides of a very shiny coin.